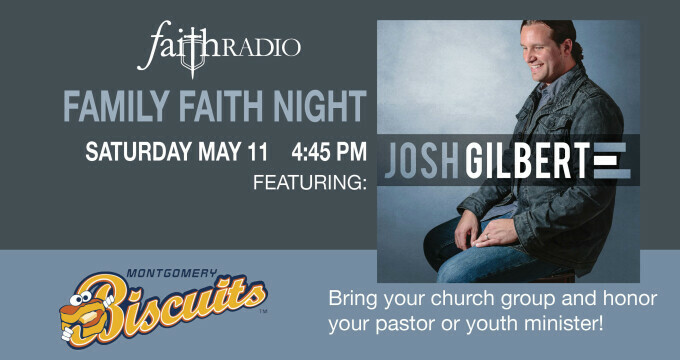 In advance of his appearance at Family Faith Night with the Montgomery Biscuits and Faith Radio on May 11, 2019, special guest artist and worship leader Josh Gilbert shared about his background, as well as his latest album, Outside the City. His website is www.joshgilbertmusic.com. Learn more about Family Faith Night here.